The Economist, which doesn’t typically profile start-ups, just published a great profile on Pluto TV entitled “Changing the Channel”. Check it out here. Great work by my partner Ken Parks. 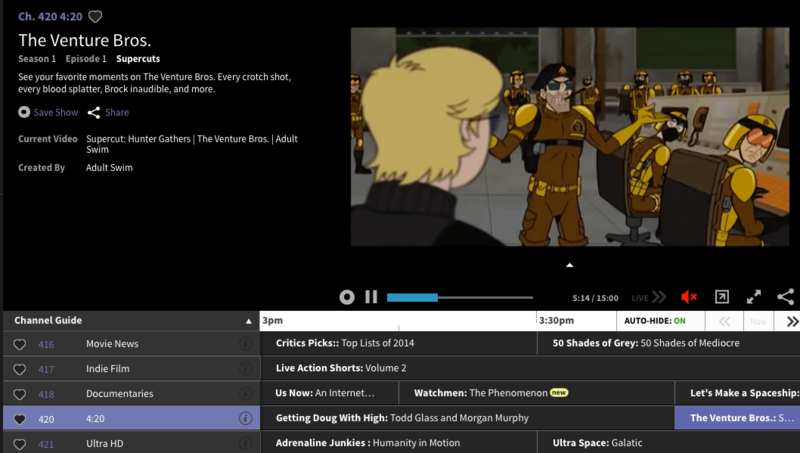 Excited to announce a big milestone for Pluto TV: our first major TV network partner. Bloomberg TV’s live channel, a world class business news network that reaches 310 million homes worldwide, will be streaming for free 24/7 on Pluto TV starting this month. Great write up on the LA start-up scene with some nice love for Pluto TV! Pluto.TV is where you go to watch TV on the Internet. The website allows people to flip through channels and discover and consume the best video content the web has to offer. Oh, and it’s interesting to mention that Pluto.TV organized in a way similar to what you’d see on that old, dusty box also known as a television. On Pluto.TV, a user has access to nothing short of a variety of channels from Funny or Die to Business News to channels dedicated to weed and children, separately of course. The service streams 24/7 on any device. Similar to traditional cable, the content isn’t quite “on demand” — a user can’t select future programming to watch, they can only watch shows as they’re playing live (but there are options for rewinding and fast-forwarding within that show block). But like DVR, you can record future programming. Paresh Dave wrote a great story about Pluto TV in the LA Times. We made the cover of the business section. Very excited for my colleagues at Smule who just raised over $16M to accelerate their global expansion. The company has been on a tear lately and I couldn’t be happier for the team.